What are the protocol stacks at the Nb and Nc interfaces and which are the possible optional implementations with 3GPP Rel4? What is the detailed Message Structure of ISUP / BICC? Where are the differences between ISUP and BICC? How does Media Transport work and what are the message header details of RTP / RTCP? What is H.248 / MEGACO and how does it work? How does a Soft Switch work? What are the new and modified network entities and how do they operate? What are contexts, terminations and how are they controlled for the provisioning of media resources? 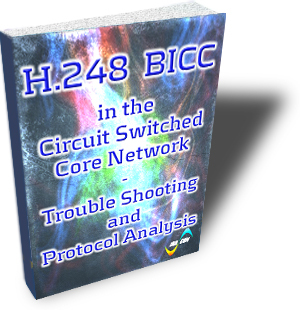 The book is particular useful to design engineers who engineers and technicians who are involved in the operation, optimization and troubleshooting of circuit switched networks. Network operators and technical staff who need understand Soft Switches and their application in 3GPP networks. Everybody who requires detailed knowledge about the protocols at the Nb, Nc and Mc interfaces.